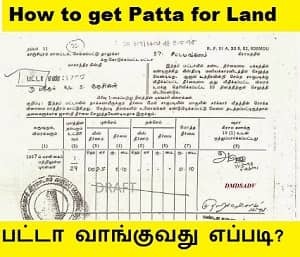 Home » Kadhambam Corner » How to apply Patta for land in Tamilnadu? Apply Patta Transfer is the most common transaction in the Taluk Office in Tamil Nadu. According to the Government Order 210 dt. 8th July, 2011, the Village Administrative Officers are allowed to receive the application for simple Patta Transfers in some Taluks. This software is loaded on the main server to handle the computer records periodically to update the position of the application that are received by the office. Each and every Revenue Patta Transfer numbers are linked to each petition and petitioner track the movement of their petition and keep watching where it stands. Once a plot is purchased, the most important process is to transfer or Apply Patta to the Buyer’s name and the process is not difficult anymore. This article lists the documents needed for Patta transfer and helps in eliminating uncertainties about the entire process. Usually, the Tahsildar issues the Patta. Other officers are also empowered to do so depending on the facts and circumstances of each case. What are the different types of Patta available? Adhoc issue of Patta which is based on holdings as per record maintained with the Taluk Office. To apply Patta, an application will be made with providing details of land. After verification, the applicant will receive the Patta with Owner’s name. What is the procedure for Apply patta in Tamilnadu? Normally, an application has to be made to the Tahsildar in the form of a simple requisition to issue the patta, providing necessary details and documents. It is issued in the name of owner or in the case of joint holdings, in the names of the joint owners. If required, the officer concerned may require the applicant to furnish details in a particular format and may also hold inquiry before granting the patta. A survey may also be made if so deemed fit. Click here to download the form for Patta request. What are the documents required for Apply Patta Transfer in Tamil Nadu? If the property holder who is going to sell their property, in short, Seller has Patta, then the process of transfer is simple with the copy of old patta which was submitted to Taluk Office. In case the seller does not have Patta in their name then a physical survey is needed. Submit original documents for verification or required attested copies of all the documents. If have, then the copy of Layout Sketch is required. Submit the copy of Parents papers or documents. All the work of Patta Transfer should be completed within 30 days of time as per government G.O. Does every patta has a plan or sketch? In cases of patta which are “Extracts from Permanent Land Register” and “Extracts from Town Survey Land Register”, a topo plan is issued and is part of the patta. In the case agricultural holdings, the topo Plan is not usually issued. Is it mandatory to have a patta for every property? In case of properties which have buildings or structures, physical occupation and possession may be demonstrable. In case of vacant lands, this may not be possible. In such instances, patta is the main document for establishing lawful possession. Even in case of properties with buildings and structures, patta is the primary document to establish lawful possession. It also has other uses, especially when one is dealing with one’s property, as it contains many other vital details including the extent of holdings and in many cases, the measurements. Is patta required for establishing ownership of apartments? Patta is a document relating to land and not buildings, although the patta may include particulars relating to the buildings. In respect of apartments the land is usually owned by the co-owners in undivided shares and Patta is not issued for undivided shares of land. However, it may be possible to get the patta in the names of all the co-owners jointly. Patta issued in the names of joint owners does not specify the shares of the individual owners and in such cases of joint patta, there is scope for confusion. Also, depending on the nature of holding, Urban Land Tax or other taxes may become payable on the basis of joint patta. Otherwise, as related to individual holdings alone, the same may not be payable. In what cases are patta transferred? There are a few instances when patta needs to be transferred. Take the case of an owner, having a patta, expiring without leaving a Will. In such cases, the legal heirs of the deceased person are entitled to have patta for the property in their names. In the case of a person leaving a Will, patta can be transferred to the beneficiary with the consent of others who will be the immediate heirs of the deceased person. The officer concerened may also require the production of Letters of Administration or Order of Probate in appropriate cases. My seller has a patta in the name of previous owner. Is it mandatory for my seller to have patta in his or her name? Although, it is possible to have the patta directly in the name of a purchaser or a transferee, after purchase or transfer, it is desirable that patta is available in the name of the seller or the transferor. To a certain extent, there could be an element of comfort if the seller is a known person or the transferor a close relative. It is also possible to ascertain whether patta will be issued in the name of the purchaser or the transferee and in cases where patta is not obtained by the seller or the transferor but documents are in order, it is best to check whether it will be issued directly in favour of the purchaser or the transferee. The title deeds are in the name of one person. Patta is in the name of somebody else or one or more other persons? This has to be approached on a case to case basis. It is also possible to obtain a correct patta if there is an error or omission or oversight. Decision may be taken after obtaining legal advice. Thanks for your appreciation sir. For your inquiry regarding Patta, pls goto your city Corparation(Nagaratci) office. Apply for the correction to the patta to the Surveyar. Print the patta application form from our website. Fill the form.pay the fees and Goto the nearest Taluck office.submit the form. I have purchased land( 2400 sft) with house in chennai about 25 years ago.I am staying in that house since then. Now I plan to construct first floor . For this , I need patta in my name as per CMDA rules for getting plan sanction . Now i have applied for patta transfer in my name to Tahsildhar office. The old patta is in my previous owners name. unfortunately there is some error in the computerised patta document . The father’s name of previous owner in the patta is not matching with that of my sale deed document. The tahasildhar is raising objection to complete the patta transfer. will there any hard copy records available in VAo office. Which document is legal document. whether it is sale deed or patta. Patta is the legal documents. Check the name in previous sales deeds or registered document’s. If there is change in the name contact any known persons in registration office. u can check the name in all the previous patta at Surveyor office. We purchase the land in the catagory of Dry-Rainfed Class 1. Can we construct commercial building for Engineering Business?. We recently purchased the land in the catagory of Dry-Rainfed Class 1. We bought a 2400 Sq.Feet Land at Nehru Nagar in Kottivakkam Village last year and also got the Patta Transferred to our name. In the Patta, the land area is mentioned as 2.00 Ares. Now we want to apply for construction of our office building. 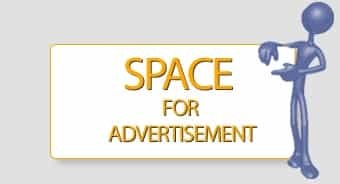 When our Builder approached the CMDA office, they said that they will give clearance only for 2,100 Sq.Feet since the Patta mentions only 2.00 Ares instead of 2.20 since it totally online only and accepts only the lower land value. We are loosing 300 Sq.Feet because of this issue in the Patta and Builder says that we will have to build the Building with 5 feet width provision. I visited the Thasildhar office at Sholinganallur for the Patta Correction to 2.20 instead of the 2.00 and they informed me that correction cannot be possible in the Patta. They also said that all the Old Patta’s are rounded off to the lower ares value and CMDA officials know about this. Can you please advise me as to how we can get the issue solved or get a new patta with 2.20 ares ? Your surveyor will be able to tell whether the area was incorrectly given to your neighbour or not. Get in touch with the surveyor to understand the issue and proceed with the below process for new patta (missed area). No correction will be done in existing patta. Write a petition to Thasildhar regarding this incorrect measurement in the Patta and get it attested from Thasildhar. Go with your documents and attested petition to VAO, RI and then surveyor. These parties may visit the site and recommend Thasildhar to issue patta for the remaining area. Hope this will help. THANKS FOR YOUR HELP AND CLEAR INFORMATION. I HOPE THAT IT WILL HELP THE PEOPLE. Sir, very good information. Thanks. What is the definition of parent document? This is a area of problem whenever we tried for patta transfers. Some people say, one document before the seller, that is, how seller got that property is enough. Some are saying you need from mother document, which is generally 50+ years before. Please clarify. when we are applying for patta they will ask the Mother document xerox. you can pay and search the document in concern register office. My name is Saravanan from Vadakuchipalayam,Chinthamani Post, Villupuram, 605601. We have land 60 cents. Which is belongs to my Grandfather and Grand Mother name. They are died in 30 years back. We are applied for patta. but they are asking for My forefather death certificate. I went Vikkiravandi taluk offices. I requested for death certificate tho the officer. He told me, we can’t provide you your Grandfather,GrandMother death certificate such a long years we don’t have documents. You can get it from Lawyer. I don’t know how to get it from Lawyer. Please help me where I will get my fore father death certificate. 2) In the 60 cents few cents have patta with some unknown person name. We enquired about this to our village VAO. He told me, some mistake is happen when making computerized system. I don’t know who made this mistake. You can contact taluk office. We went the taluk office Vikkiravandi. They are saying we are not responsible. you can meet your serveyur. The Serveyour saying I don’t know how it is happen. We have document(Pathhiram) which is belongs to our fore father name. but the officers are no solution are given. I almost two years spend didn’t get the patta. Can any one help me how do I get patta for my land. My contact number is 9940181440. 1. contact the local lawyer for Death certificate. 2. Get the address of the person whose name was in the patta and inquire them how did they get the patta for your land.file a case against them. Servery is the full responsible in this patta transfer.you can ask the full details from them. for selling the 900sqft no problem. it is not necessary. if you want to apply patta for your name you should go to your municipality office. Very useful information. Thanks a ton for posting. 1. We have purchased a plot in an unapproved layout. The entire layout stands in the name of earlier Owner. Do we need to submit sketch for entire layout when we need to transfer the patta into our name in respect of single plot? 2. Earlier the property fell within jurisdiction of Chidambaram Taluk and now Bhuvanagiri Taluk after the reorganization of Taluks. Now where should we apply for the Patta name transfer? Thaks for your kind words. 1. when applying for patta we need to submit either the full sketch layout or single plot sketch layout(if you have). its not a big issue. 2. You have to apply Bhuvanagri. My grandparents got land in Tamilnadu. We would like to change the ownership since both of them pastaway. May i know what is the procedure to change the ownership. probably you need the death certificate. go to your municipality and ask them about other related documents to be submitted. I bought a dtcp approved plot first sales from a realtor @ urapakkam last month. Immediately on registration I received an SMS reading as.. Dear registrant patta transfer application for your document no…… has been received by Sriperumbudur taluk office and registered with 2018/……. What next should I do..there is no means to verify status online as it is asking for application No. which I have no idea at all ..Please help as to what I have to do. 1. Goto the register office and get the application number. 2. Goto the municipality office and ask for status of your application. Thanks sir.. for it valuable guidance.. Your service is really commendable. I have a proper registered land documents with layouts for 2 plots that i purchased in a village in trichy with same survey number but with two different sub division number like ( 111/2 & 111/3) and i have the EC too for both of the plots. Now the patta i have got has only one survey number and sub division (i.e., 111/2) in it and it has all the people who are owners. I have not got the patta for 111/3. 1.Do i need to get another patta for the survey number 111/3 ? 2. if i want to sell both plots would it be an issue if dont have the patta for one of the plot, considering i have the original land registrations documents and EC too for both of them ? 1. yes you need to get patta for 111/3. 2. there will not be any problem while selling.but if some one forged your documents then it will be a problem. Having patta is double safety for you. I have to transfer a Patta which is in my father-in-law’s name to my name. There will be no any money transaction involved. My Father-in-Law is in good health. Could you please let me know what is the procedure and how much it will cost? first you have to register the land in your name. next apply for a Patta name transfer. I am buying a land in coimbatore in sundakamuthur village . seller brought this land in 1992 . he didn’t added his name in patta . I went for legal opinion .in that EC , title deed and sales deed are clear no issue but patta not in seller name . next week i am already plan to register a land . and the seller till now not yet paid any land tax. after registration should i face any problem about this. and how to change patta in my name after registration. 1. (he didn’t added his name in patta .) its is not a big issue since the EC is clear. 2. (the seller till now not yet paid any land tax)- The seller has to pay tax. but in many situation the seller not care of paying the tax. But you can negotiate in the total amount of land ( around Rs.15000-30000 depending upon the face value). So that when you are planning to build the house that time you can pay the Tax. you have to contact e-seva centre for Patta Transfer Online. Information provided by you is very useful to us. Thanks for your service. I have bought a piece of land (CMDA Approved) near Thoriapakkam, as the Patta is already exists now I am planning to transfer the patta in my name. 1. Is it possible to do it myself without a mediator in Chennai? 2. As patta already exists does the process require LAND SURVEY? 3. Do you have any guess how much I can afford to the mediator in case if I am unable to handle the government servants? Your thoughts will be helpful. Thanks! Thanks for your enquiry related to Patta Transfer. Sir,Apply Patta through Your Taluck Office or enquire in e-seva center. Please let me inform whether “PATTA” can be issued without copy of the Sale Deed and Encumbarance Certificate. If PATTA is considered to be a main document for establishing the Ownership of the land what is the need registering a document with the Registration Department spending Stamp Duty and Registration Charges? Why don’t the work of Registration and issue of PATTA can be clubbed and handed over either to Thasidar or Registrar of Land Registration so as to avoid inconvenience to the Poor Public? 1. yes for Patta Transfer you have to provide the Sale Deed and EC,in order to proceed for the Transfer of Patta in your name. 2. Registration is the first part of purchasing a piece of land under your name. the whole part of land will be in a single patta name under its owner.after you purachse a pice of land from that area of land, you have to transfer the patta to your name from the owner. this is the second part of work when you purchase a land. 3. Yes. There is a law/rule/amendment that when a person register a land the registration department should apply for patta transfer on the same day of registration. but registration department not care about this rule. In 1968 my grandfather bought a land. The titled deed of the document is in my grandfather name and also check Encumbrance Certificate (EC) they also in our name. Town surveyor survey the land and building and tell patta name is nearby land owner name is coming. How to change the patta in our name? apply for patta with your document through your taluk office. Kindly help me getting patta in my name. Purchased land in NBR meadows Hosur. I am in Rajasthan Jodhpur. Suitable person who can take care of my patta transfer. How much would be his fees. I would like to appreciate your swift response for all the queries. I have 1600 sq ft land in grama natham in the name of my father in mannivakkam. I have only sale deed. What is the procedure to apply patta in my name.? If you have sales deed in your name.go to taluck office and apply for Patta Name transfer. please let me know how much time will take to transfer the name in patta?????? ITS DEPENDS up on your area surveyor. but government says it should be completed with in a month. Take EC Online. no need to apply to any one. I read through the entire Q&A and was very useful. However, I have a few queries. Please clarify. I have a property in Villivakkam and I live in Selaiyur, Tambaram. I have not changed my name in the patta while I bought the property in villivakkam during the year 2010. Earlier in the thread, you mentioned that we could do the patta name transfer online through eseva. Can I go to the nearest eseva to make the name transfer? or should I go to the concerned eseva? Also, please let me know where is the nearest eseva in tambaram area? Thank you.